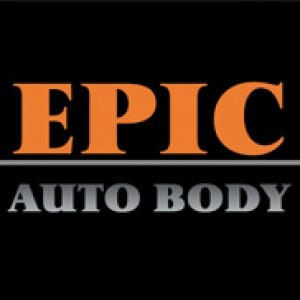 Deductible Assistance – Here at Epic Auto Body we understand that sometimes an Automobile Accident occurs at a time in your life when out of pocket expenses such as your deductible exceed your means. Our staff of experts are highly qualified to develop creative solutions to assist you in this area and make sure that you are in a position to proceed with the collision repair process. Loaner Cars – Temporary loaner cars are available to qualified customers depending on availability. Our loaner fleet consists of clean, reliable, newer model year vehicles to serve the needs of our customers. Rental Cars – We are always glad to assist in arranging pickup and delivery of rental cars that your Insurance Company has authorized. Just let us know ahead of time that your insurance company has authorized a rental car, provide us with the specifics, and we will make sure that the rental vehicle is ready and available when you drop your vehicle off for repair. Towing/Disabled Vehicle – Please do not attempt to drive a disabled or potentially dangerous vehicle following an accident. Most Insurance Policies will cover the cost of the tow under your policy and there is no need to risk additional damage or personal injury. Simply call us and we will arrange the tow, advance the cost of the tow, and submit the bill to your insurance company. Call Now Or Fill Out The Form Below!